If you’ve been following the construction at Universal Studios, then you know it’s an exciting time at the park. If you haven’t been following the construction-Well…it’s an exciting time to be at the park. 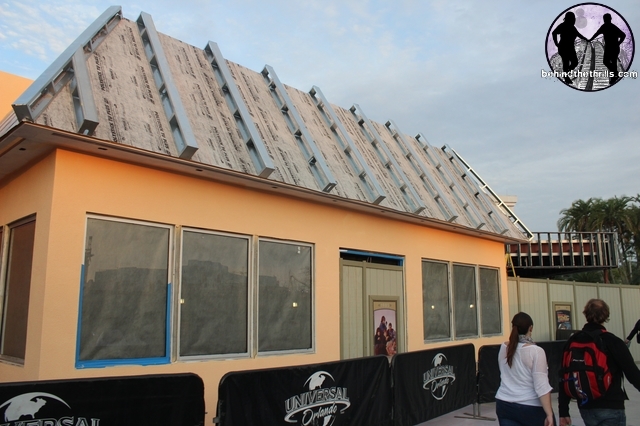 We take a look at the latest construction happening throughout the park. 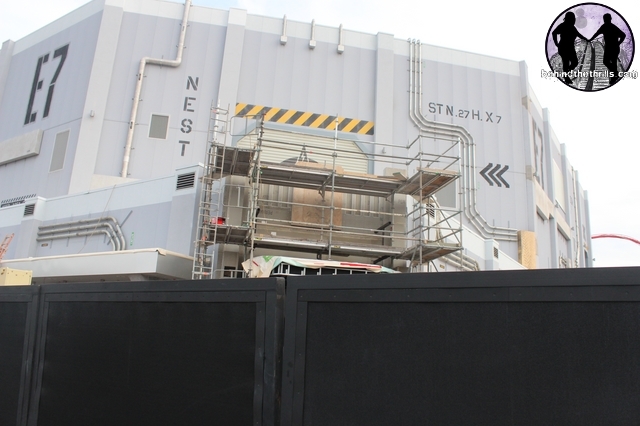 Transformers is continuing to tease guests walking by as crews continue to put finishing touches on the attraction. Last week the first major step in getting the attraction ready for opening happened as the park opened the “Supply Vault”, the official Transformers gift shop. 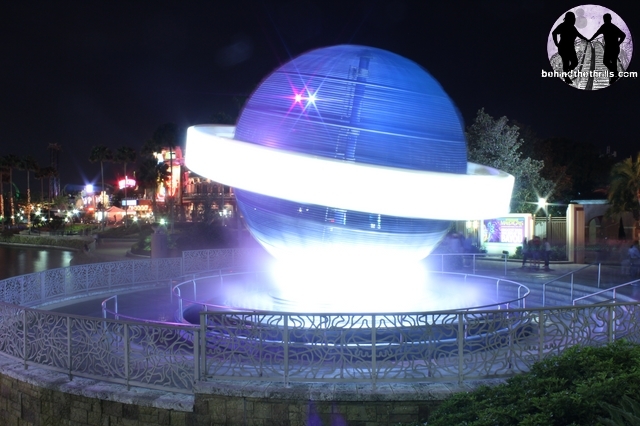 While no official announcement has been made about the opening date, the attraction is expected to open this Summer. Look for dates as soon as we learn them. 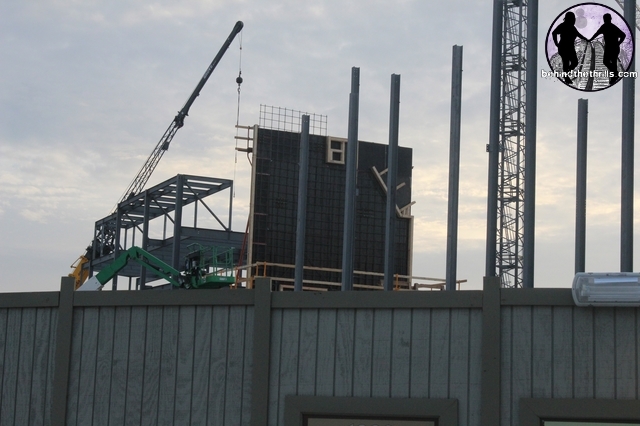 Meanwhile the former Amity section of the park sees all new buildings rising over the fences. The park has not made any announcements officially about the opening of the attraction, however we may have a bit of info. Over the weekend several members of the Art and Design team took part in a charity forum. When the audience was allowed to ask questions the first one was naturally what’s being built. So…there you have it. All of you who heard rumors of a Wizarding World expansion can now rest easy…it’s only a parking garage. In case you still haven’t gotten it…that was a joke. The construction is rumored to be an expansion to The Wizarding World of Harry Potter, and what we see could be the start of The Leaky Cauldron…if the rumors are true. While no earth shattering changes have bewn made to the construction happening around The Simpsons, work does progress at a rapid pace. If we had to guess, it’s looking like this new section could be open before Summer, although without seeing the inside, there’s no definite way of knowing. 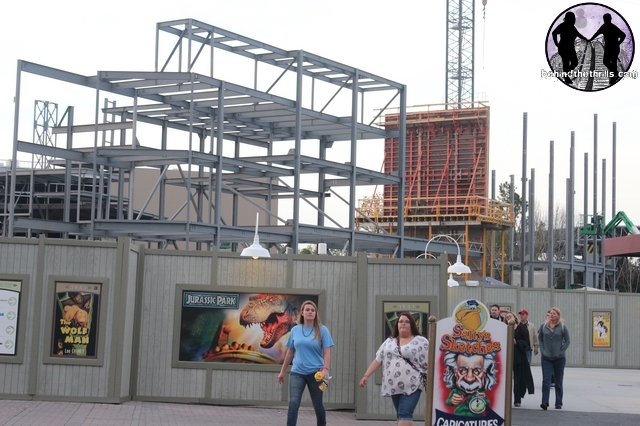 One interesting thing happening, the movie posters on the construction walls are slowly disappearing and being replaced with ride posters. The rides are both former and current attractions. Jurassic Park, Transformers, Back to the Future and of course JAWS are all represented so far. 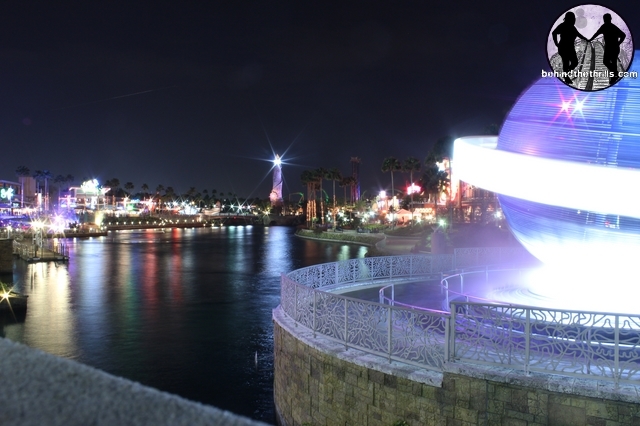 One thing we love doing is taking pictures of the weenies of the theme parks. Universal has our favorite weenies by far. Before you get the wrong idea, a weenie is a theme park term for a landmark or structure that can be seen throughout the area. These are some of the most photographed weenies in the parkn though we decided to take a different perspective. We used a technique called open exposure in which we leave the shutter open on the camera. The result is that all the light blends together to make one continuous line, and we see all the light gathered together. 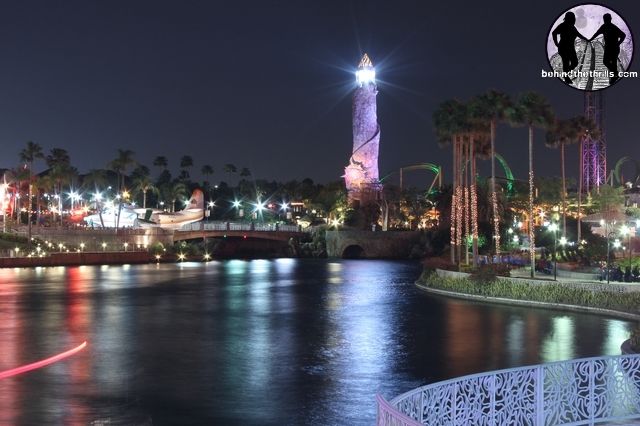 For more information on Universal Orlando, including tickets, visit the official website by clicking here! Harry Potter and the real life Kings Cross Station-A look at the theme park world vs. the real life place!